Paraguay’s Chaco frontier, one of the least known areas in one of the least known countries in South America, became the unexpected scene of the bloodiest international war in the Americas, the Chaco War between Paraguay and Bolivia (1932–35). A picture postcard from the Chaco War era shows a large heart, emblazoned with the word “Paraguayo,” pumping its way through the flat dusty wilderness of the Chaco and leaving a zigzag trail of smashed Bolivian forts and soldiers along the way. This visual propaganda shows why the Paraguayans were sure they would win the war: they were brave, passionate soldiers. They considered themselves invincible descendants of the great hero of the War of the Triple Alliance (1864–70), Marshal Francisco Solano López (El Mariscal). But Solano López was not universally revered. A controversial figure, he was widely believed to have led Paraguay into economic, social, and cultural ruin. The debate over López’s actions shaped the country’s culture and politics for over a century after the War of the Triple Alliance. 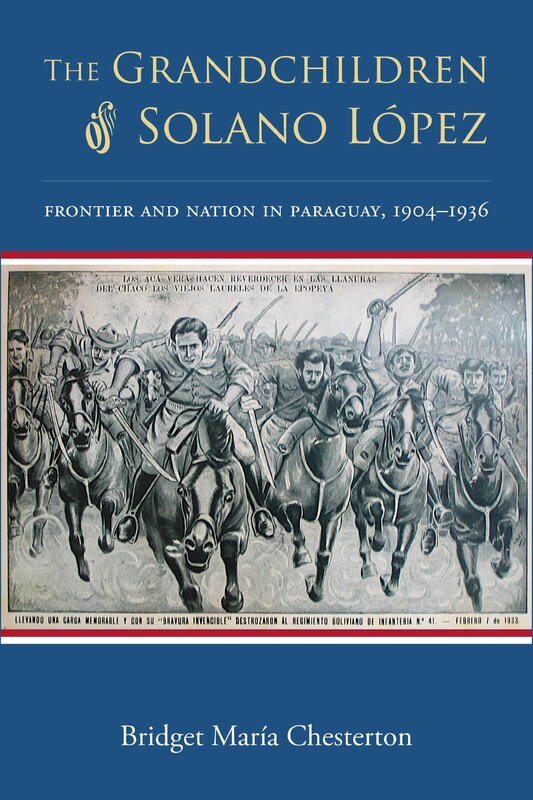 Bridget María Chesterton’s in-depth examination of Paraguay’s unique nationalism and the role of the frontier in its formation places the debate over López in the context of larger themes of Latin American history, including racial and ethnic identity, authoritarian regimes, and militarism. Bridget María Chesterton is assistant professor of history at SUNY-Buffalo State College.